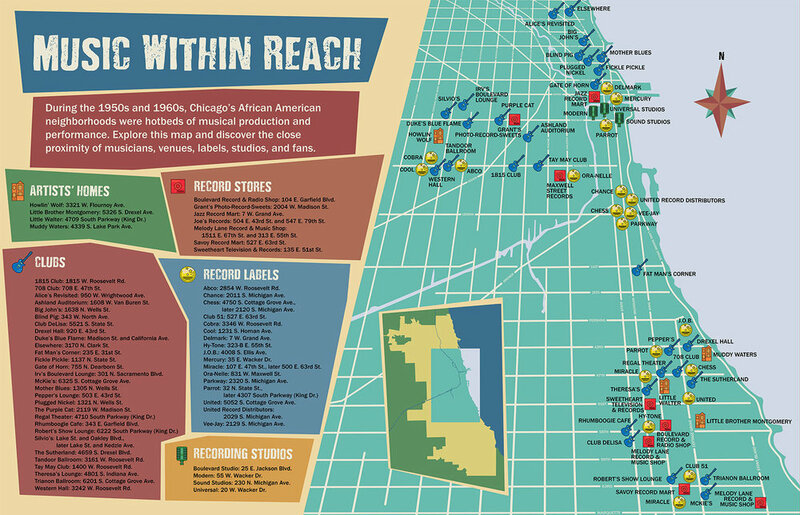 The brief for this project was to create two maps for the Amplified Chicago Blues exhibit at the Chicago History Museum. The first map shows how the blues traveled from the Mississippi Delta to other parts of the United State. 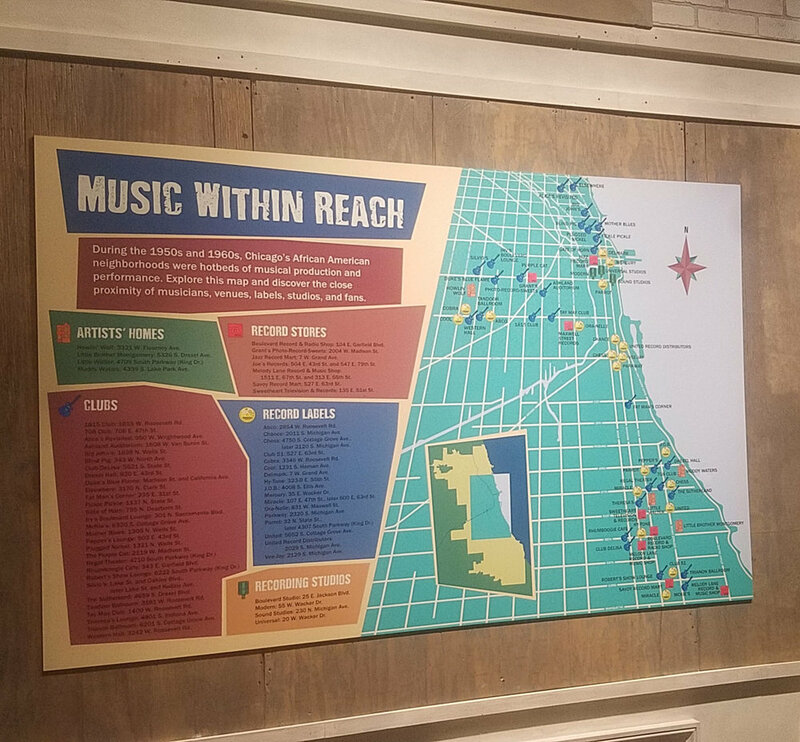 The second map shows a detailed view of Chicago that highlights the notable blues recording studios, clubs, homes, record stores and labels of the 1950’s and 1960’s. The maps were to incorporate a style similar to music posters of that era.